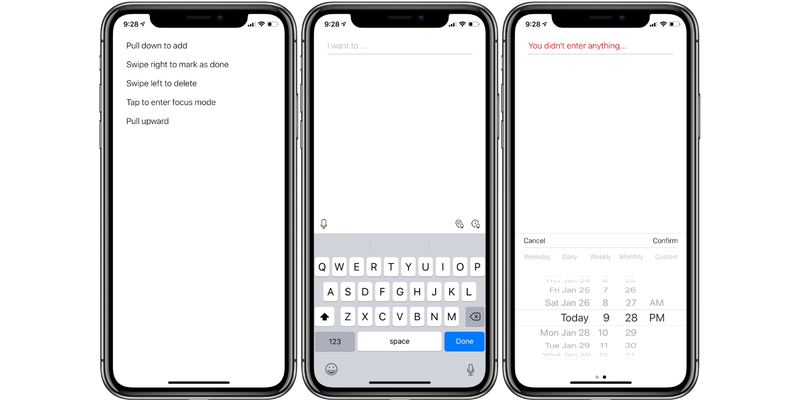 Posted byLucia Stokes	 February 4, 2019 Leave a comment on What’s the best simple list app for iPhone? The one knock for Reminders, for my part, is that it’s gradual to add new obligations and create new lists. Its layout is asking dated, so I desire it gets some attention within the near future. Apple Reminders is really worth taking a take a look at because it’s unfastened and syncs over iCloud. Do! is an interesting looking app. It has a paper feel to it (it reminds me of Apple Notes), but it’s not overly skeuomorphic. It’s fairly simple to add new tasks, but the overall app is not one of my favorites. I found the user interface to be confusing especially compared to Apple Reminders. It’s a free app, and it includes in-app purchases to remove ads and to have unlimited groups. Do! is a free app on the App Store. I love CARROT Weather, so the design of its list app immediately worked for me. Like all of the CARROT apps, the to-do app has “personality.” You “please” the robot by marking things as complete, and as you do, you unlock new features. While I think this is a pretty fun way to unlock features, I’d rather just be able to make a small in-app purchase. One negative to the app is that it doesn’t offer an option for multiple lists. This fact alone would keep me from using it for a simple iPhone list app over some of the other apps I tried. The app still does lack native support for iPhone X and newer screen size as well. CARROT To-Do is a free app on the App Store. 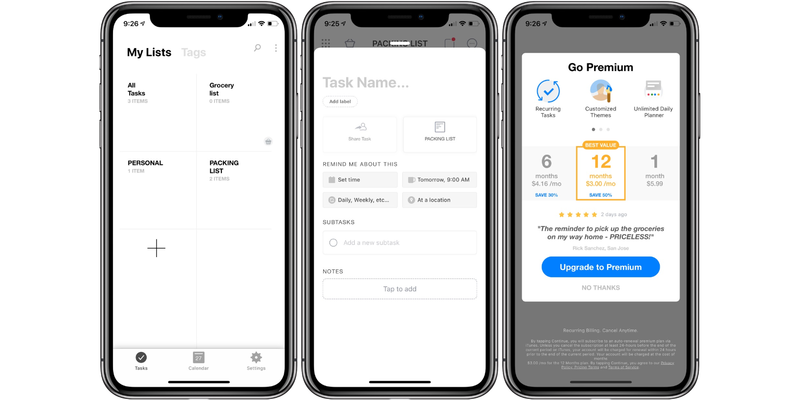 Any.Do is a free app with a subscription for unlimited collaboration, recurring items, location-based reminders, and more. It’s a really great looking app, but it’s overkill for what I want in a simple list app, though. One of my favorite aspects of the app is how multiple lists are broken out. If you are looking for a new task system, I would definitely check out Any.Do. But when it comes to a simple list app for iPhone, I feel like there are better options. MinimaList comes close to being the perfect simple list app. I have a minimal design, which I like, but I find the UI a bit hard to navigate. I originally couldn’t find out how to have multiple lists, but then I finally fiddled around enough to find a place to upgrade to MinimaList Premium for $5.99. 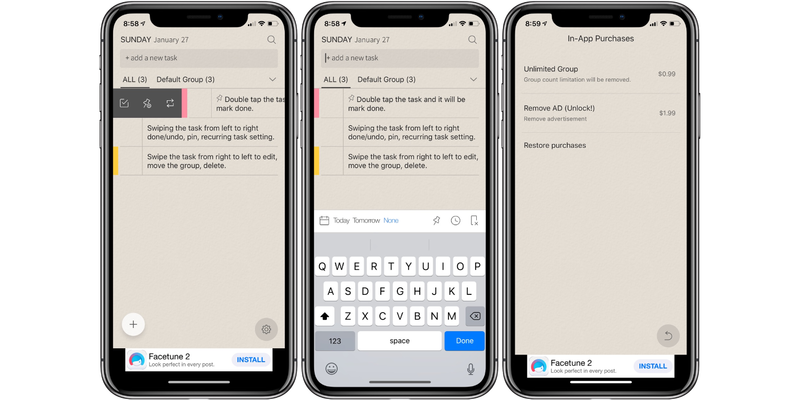 The in-app purchase unlocks FaceID, custom fonts, multiple lists, location reminders, and more. MinimaList is a free app on the App Store. Clear, in my opinion, is the absolute best list app for the iPhone. 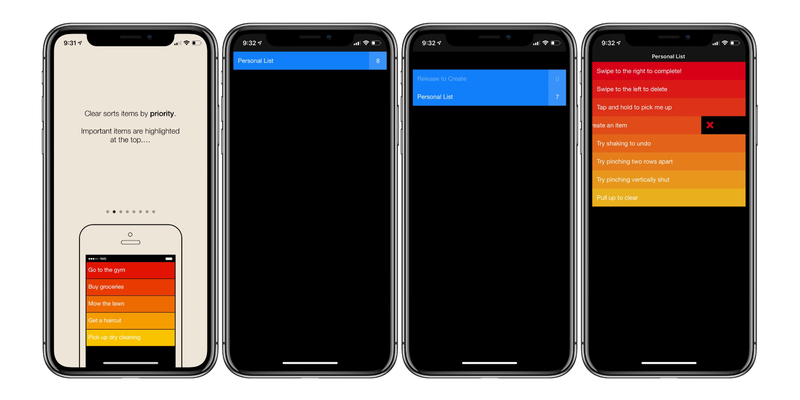 While I probably prefer the UI of MinimaList, Clear is just lightning fast on everything. It’s extremely easy (and fast) to add a new list, add new items to it, and mark items as complete. While it was missing in action for a year or two, it’s under new ownership and they’ve been actively developing it. When it comes to creating simple lists that I don’t want in my GTD/task management system, Clear is my go-to app.